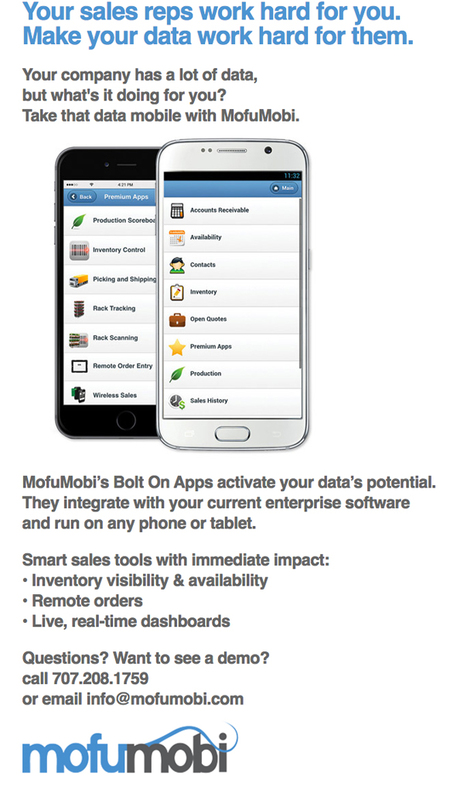 MofuMobi can turbopower any part of a big box supplier’s business but one group who benefits most is outside sales reps. Apps such as Remote Order Entry, Pay By Scan Merchant App (VMI), and Dashboard Reporting are all game-changers for reps servicing big box stores such as Lowes, Home Depot, Walmart, and the rest. Remote Order Entry allows a rep to build orders on the fly, on any device—tablet, phone, or desktop. And the Pay By Scan Merchant App (VMI) gives merchants the ability to view and adjust live inventory. These edges make your product that much more valuable to the vendor. And the Dashboard App gives sales reps live data on the fly so they can hit goals and stay accountable. Here’s the e-mail we sent in March showcasing MofuMobi’s advantages for salespeople. If you have any questions, please don’t hesitate to reach out to us—we’ll set up a demo and show you what MofuMobi can do.